Keypad phones are outdated now. Now it is the time of smartphones. The Smartphone is the mobile phone which is built with smart technology and functionality similar to a Computer. They provide advanced features like WIFI, massager and email id. The phone contains the keypad like the computer. Everyone wants to buy a smartphone, but it’s very hard to find. Looking for Smartphones and your budget is Rs.20000. Then you are at the right place here we are going to mention the 5 best 2017 smartphone under 20000. Moto G5 Plus launched in February 2017 available Lunar Grey and Fine gold. The features of this phone are as follows. · Available with a 5.20-inch touchscreen display. · Display resolution 1080 pixels x 1920 pixels. · 4GB of RAM and 32GB internal storage. · Internal storage can be hiked up to 128GB via microSD card. · Runs on Android 7.0 and non-removable battery powered by a 3000mAh. · Dual GSM sim that can accept two Nano-SIM. · Connectivity with WIFI/ GPS/Bluetooth/NFC/USB/OTG/FM/3G and 4G. Quality of loudspeaker is not good. 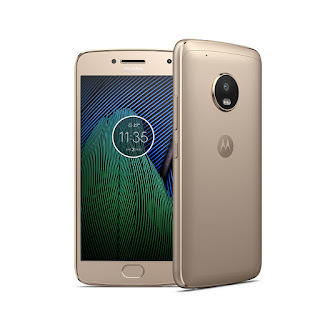 Launched in November 2016 by Motorola available in gold and silver colors. The features of this handset as follows. · Display resolution 1080 pixels by 1920 pixels at a PPI of 401 pixels per inch. · Expand the internal storage up to 128GB via microSD card. · Motorola Moto M runs on Android 6.0.1 and battery 3050mAh non-removable battery. · Dual GSM smartphone accepts two Nano-SIM. · Connectivity options are WIFI/GPS/Bluetooth/USB OTG/3G and 4G. Launched in June 2016 available in silver, gold and dark grey weight of the device is 203 grams. The features of this phone are as under. · Display resolution 1080 pixels X 1920 pixels at a PPI of 342 pixels per inch. · 4GB RAM and internal storage of the device are 128GB. · Increase the internal storage up to 128GB via a micro SD card. · Android 6.0.1operating system and battery is 4850mAh which is non-removable. · Dual GSM SIM accepts one Micro-SIM and Nan-SIM. · Connectivity options are WIFI/GPS/Bluetooth/Infrared/USB OTG/FM/3G and 4G. · Display resolution is 1080 pixels via 1920 pixels. · 3GB of RAM and internal storage of the phone is 32GB. · Expandable storage capacity can be extended up to 256GB through microSD card. · Runs on Android and non-removable battery powered by 3300mAh. · Dual GSM SIM and accepts two Nano-SIM. · Connectivity options include WIFI/GPS/Bluetooth/USB OTG, 3G and 4G. Launched in May 2016, black and white colors the weight of the phone is 155 grams. The features of Moto G4 plus are as follows. · Moto G4 Plus has 5.5-inch touchscreen. · Display resolution is 1080 pixels x1920 pixels. · 3GB of RAM and the memory is 16GB. · You can increase the internal memory up to 128GB via microSD card. · Android 6.0.1 and powered by 3000mAh non-removable battery. · Dual GSM SIM and accept two micro-sim. · Connectivity options are Wi-Fi/Bluetooth/USB OTG/FM/GPS, 3G and 4G. The above features of phones must help you to select your best smartphone under 20000. Whenever you are going to buy a smartphone you must enquire about the features. It will save your time and money. It is not necessary that a costly smartphone can serve your purpose even a low price smartphone can even give you best services. We wish you all the best.